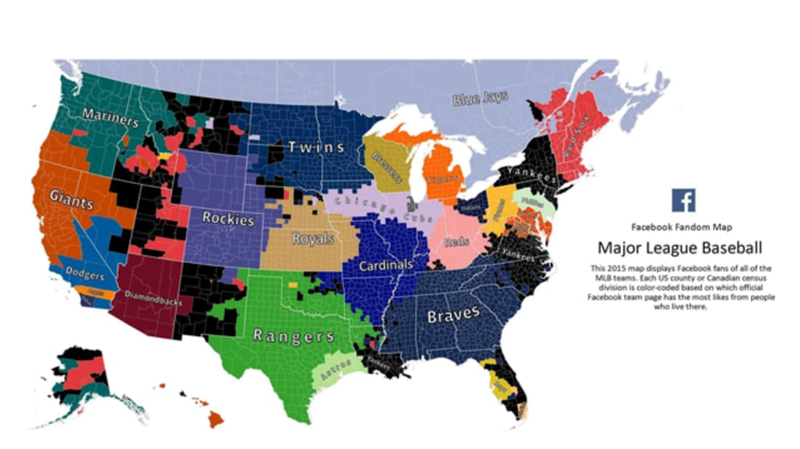 Annually, Facebook releases data on the most popular Major League teams in every county, based on the number of likes of team pages. They then transform that data into a handy map. Some interesting notes: The Yankees have the most fans overall (so much that the Mets are completely neglected), the Giants are very popular in Hawaii, and the Royals have a plurality of fans in more Kansas and Nebraska counties than in their home state.